the lifestyle of a Mediterranean island. Cyprus enjoys a European political outlook and the lifestyle of a Mediterranean island. Cyprus has been recently ranked as the 5th best relocation destination in the world by an international lifestyle review (source: 2014 report by Knight Frank). Cyprus ranked highly due to its favorable tax regime for new residents, particularly high net worth individuals. With at least 320 days of sunshine a year, Cyprus has classified the sunniest European location. Pafos is the home of Aphrodite, Goddess of love and beauty. Pafos is considered by many to be a heritage Town in recognition of the wealth of natural and archaeological sites found in the modern developments. Pafos is the preferred holiday destination for inland locals as well as three international schools in Pafos, and a University, offering all levels of education. The International School of Pafos, the American Academy, the Russian School and Neapolis University. 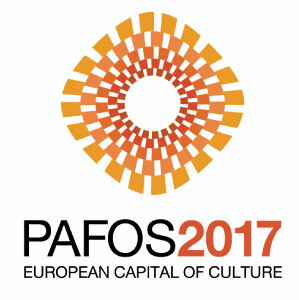 Hosting the biggest European cultural initiative is a great honor for the city of Pafos. The institution is both a source of motivation as well as an opportunity for Pafos and the broader area. The Organization Pafos2017 and its mission to bring to life the programme of the Open Air Factory is a stepping stone leading the city to new paths, mindsets and experiences. It’s an open invitation addressed to the artists, the citizens and the visitors of Pafos to come together and to co-create in different projects and networks. This will bring together different cities, countries and cultures, just like the motto “Linking Continents-Bridging Cultures” suggests.